For 50 years James Bond's "Q" has retrofitted cars to fit the needs of the fictional British spy. But now Aston Martin says it will design and build a car befitting Mr. Bond's bespoke tastes. His new car will be called the DB10. 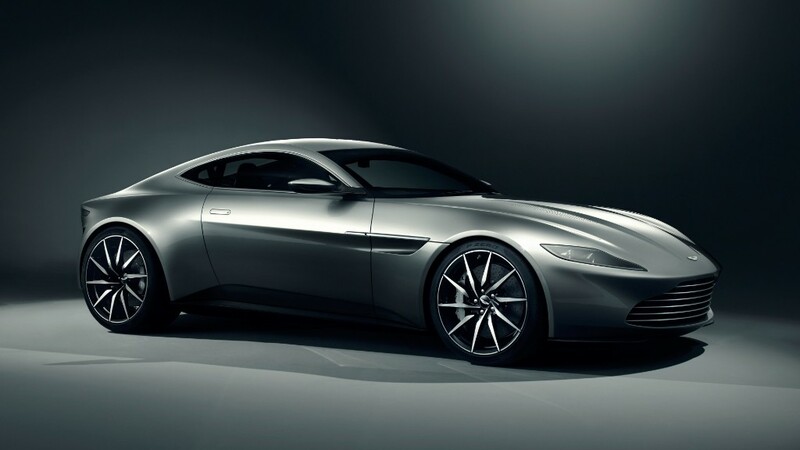 The iconic British luxury performance car maker released images of the new car Thursday. It will appear in the next Bond film, titled "Spectre," due to be released in November, 2015. Ten will be built, and no, you won't be able to have one of your own -- at least not for now. The DB10 marks the 50th anniversary of Bond's first spin in an Aston Martin, a 1964 DB5 used in the movie Goldfinger. It was unveiled at Pinewood Studios near London, where many Bond movies have been filmed. James Bond has driven a number of cars over the years. In the Ian Fleming novels on which the films are based he drove a Bentley. In the movies, he's driven BMWs, a Lotus Esprit that went underwater (and which was eventually bought by Tesla Motors CEO Elon Musk), a Toyota 2000GT sports car and even an AMC Hornet. Aston Martin is the car brand with which the character has become most closely associated, however. The DB5 famously reappeared in the most recent Bond film, "Skyfall." It had a number of options not offered to those outside MI6's Double-0 section. It had rear-firing guns hidden behind the taillights, a license place that rotated to show three different sets of numbers, and a retracting roof panel to allow easy egress for a passenger in the ejector seat. Secrecy is to be expected, even in a vehicle built for the imaginary British spy, so there weren't any details about what special features the new DB10 might have. It does, however give some indication of how future Aston Martin cars will look, the automaker said. So, while you may not be able to fulfill your James Bond fantasy in the new DB10 now, you will probably be able to get pretty close sometime in the future.